The first class of sixth-grade students to attend Howard Connect Academy in the fall will have the opportunity to interact with NASA scientists and engineers, benefit from resources and compete in NASA competitions through a collaboration between the school and the National Aeronautics and Space Administration. Howard Connect Academy is the only school in Hamilton County with an official collaboration with NASA, according to a news release. The school will have access to a curriculum designed for middle school students through the NASA Marshall Office of STEM Engagement. Students at Howard Connect will complete NASA discover projects through their science classes throughout their three years at the school. Sixth grade students will have an Earth Space focus, seventh grade students will have a Life Science focus and eight grade students will have a Physical Science focus. Howard Connect Academy will open this fall with 150 sixth-grade students. The school is an open enrollment school and families from across Hamilton County are still able to apply. Applications close March 15. For more information or to apply, visit www.hcde.org/schools/my_future_schools. 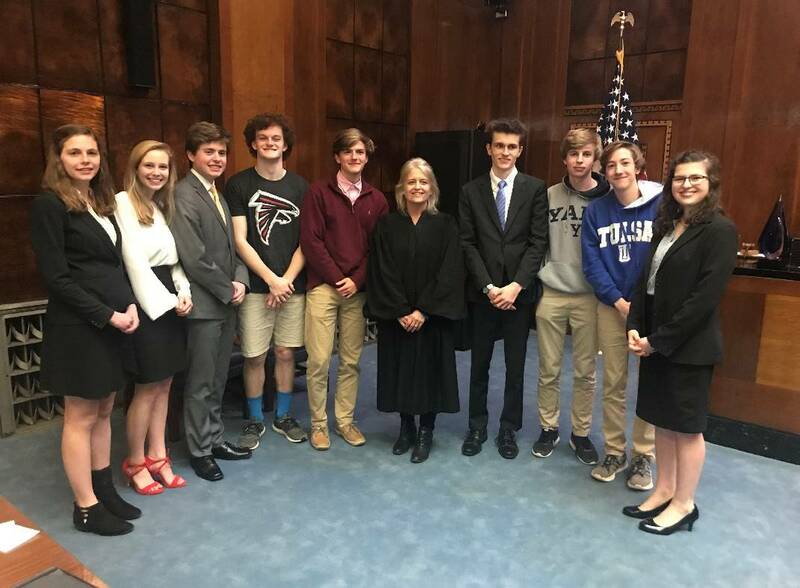 For the third year in a row, Signal Mountain High School's mock trial team took first in the district competition featuring 20 teams from across Chattanooga. A second Signal Mountain team finished third in the competition. Two winning teams will move on to a state match in Nashville. The champion team that took first included Ethan Fell, Tehreem Hussain, Luke Whitney, Jack Poss, Ryan McGregor, Camilla Mincey, David Cornea, Caroline Cornett, Meredith Bennett, Maggie Meller, George Andreescu and Max Burk. The team was the only undefeated team in the competition. The second Signal Mountain team, which placed third, included Emma Wu, Megan Hanson, Abby Frank, May Mon, Claire Lynch, Lainey Jenkins, Yoonie Yang, Hannah Morton, Carson Bock, Sean Goggins and Camille Schmied. Mock trial is an extracurricular program in which students participate in rehearsed trials to learn about the legal system. Signal's team is coached by James Brooks, Tracy Cox, Scott Bennett and Charlie Poss. The County JROTC Drill Competitions are hosted annually by the Hamilton County director of JROTC's office. The competition is open to all JROTC units across the district and is held at various high schools throughout the drill season. Hixson captured first place in multiple exhibitions, second place in Platoon IDR and first place in color guard, earning the team first place as overall champions for 2019. 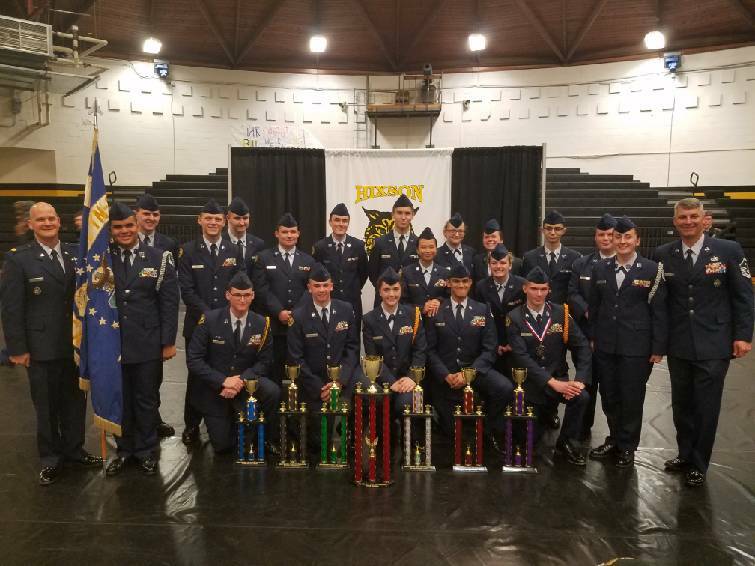 "We are so proud of our cadets," said retired Master Sergeant Doug Burhans, the Hixson AFJROTC aerospace science instructor and drill team coach, in a news release. "This fourth championship in a row is directly attributed to their dedication to each other and the program. Watching our cadets in action is amazing. They are truly Citizens of Character!" District JROTC drill and color guard programs prides themselves on teaching leadership, follower-ship, discipline, precision and teamwork, according to a news release.